As a first step after the merger, Vodafone Idea Limited has announced ‘Active Recharges‘ for the prepaid users of Idea Cellular in Tamil Nadu, Punjab and UP West circles. A total of six plans priced between Rs 25 and Rs 245 are introduced by the newly merged telecom service provider. The whole idea of Active Recharges is to make voice calling affordable to the users along with providing a little amount of data and at the same time giving them the luxury of long-validity. According to the company, these Active Recharges are for customers who do not wish to avail Unlimited Recharges which start at a higher price of Rs 199. ‘Active Recharges’ also address the concerns of those customers who do not prefer Unlimited products as they feel that they end up paying for offers they don’t even use, said a press statement of Vodafone Idea Limited. The first Active Recharge introduced by the leading telecom service provider in India is Rs 25, which offers a user Rs 18 talk time and 10MB of data for a period of 28 days. Next on the list, we have a Rs 35 plan offering talk time of Rs 26, discounted voice calling of 1 paise per second in Punjab and UP West and 60 paise per minute in Tamil Nadu. The Rs 35 Active Recharge also ships with 100MB of data and it’s valid for 28 days. 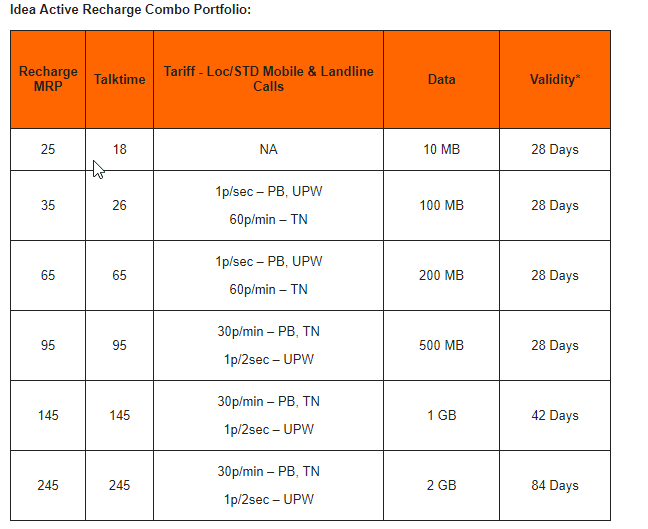 While the Active Recharges start at Rs 25, they end at Rs 265 which gives the better benefits of all the six plans. 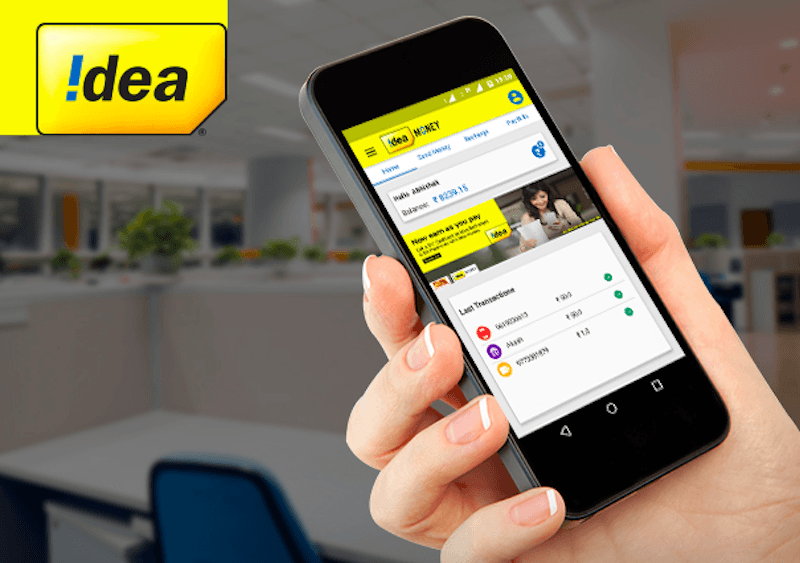 Idea Cellular users recharging the Rs 265 plan will be eligible for Rs 245 talk time, affordable voice calls at 30 paise per minute in Punjab & Tamil Nadu and one paise per two seconds in UP West. This plan also provides a user 2GB of data and comes with a validity of 84 days. Below the Rs 265 Active Recharge, we have the Rs 145 Active Recharge plan, which provides a user full talk time of Rs 145, same voice calling rates as Rs 265 Active Recharge, but comes with just 1GB of data and 42 days validity. As you might be aware of, Indian telecom service providers offer unlimited validity with the talk time recharges. And the same continues with the newly introduced Active Recharges. These prepaid recharges come with data, talk time and rate cutter benefits along with an expiry date. Vodafone Idea Limited has clearly mentioned that the data and rate cutter benefits will be expired as per the validity, but the validity of the talk time is unlimited.